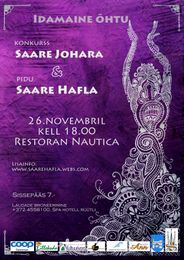 Saare Johara & Saare Hafla is taking place on 26th of November at 6PM. As our dance family has grown so much- we are moving to bigger place! We can enjoy mesmerizing view to the sea in A la Carte Restoran Nautica, Saaremaa SPA hotel Rüütli. Also dancers have a chance to show what the got at Saare Johara. Competition will have two categories- beginner soloists and non-professional troupes. And of course the best dancer will be crowned as Saare Johara! Terms and conditions are up on the homepage! For the fifth time already, there is a chance to experience a warm middle-eastern party in wintery Kuressaare. 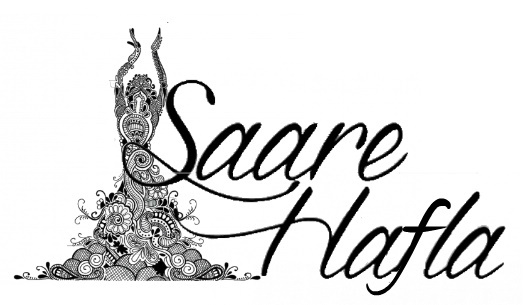 Saare Hafla has been for years an opportunity to enjoy the dancing of different Estonian and local dancers, taste middle-eastern delicacies prepared by the Arensburg chefs, enjoy surprise guest's performances, be a part of group dances and take part in a raffle. This is definitely the biggest middle-eastern party on Saaremaa. To keep up our Hafla jubilee spirit, we will offer our guests and dancers surprises and special middle eastern delicacies prepared by the Arensburg chefs and cocktails made by the barmaids. Event is held on 20th of December. Doors will be opened at 7PM and show starts 8PM.